In the proteomic and genomic era, lung cancer researchers are increasingly under challenge with traditional protein analyzing tools. High output, multiplexed analytical procedures are in demand for disclosing the post-translational modification, molecular interactions and signaling pathways of proteins precisely, specifically, dynamically and systematically, as well as for identifying novel proteins and their functions. This could be better realized by single-cell proteomic methods than conventional proteomic methods. Using single-cell proteomic tools including flow cytometry, mass cytometry, microfluidics and chip technologies, chemical cytometry, single-cell western blotting, the quantity and functions of proteins are analyzed simultaneously. 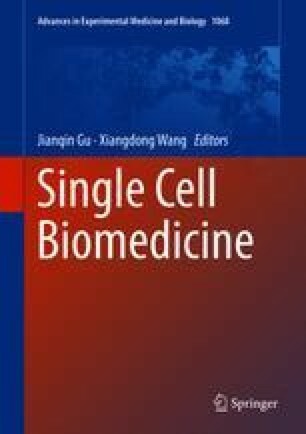 Aside from deciphering disease mechanisms, single-cell proteomic techniques facilitate the identification and screening of biomarkers, molecular targets and promising compounds as well. This review summarized single-cell proteomic tools and their use in lung cancer.